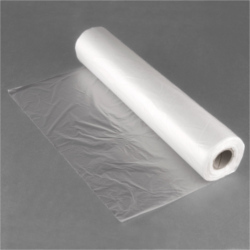 We offer Bags On Roll, which are made from HM- HDPE, LDPE/ LLDPE. They are perforated, sealed and rolled on a paper / plastic core. They can be hanged or kept vertical on a table for easy tear and use. Leveraging the skills of our qualified team of professionals, we are instrumental in offering a wide range of HM Roll. Our company has gained name and fame in presenting HM Plastic Roll. With rich industry experience & knowledge, we have been able to provide the best array of HM HDPE Roll. Our company has gained name and fame in presenting Wrapping Plastic Roll. We are known as a prominent manufacturer of HM Roll. These HM Rolls are made by us using superior grade raw material and latest technology. These HM Rolls are high density material and has the ability of preserving the material, unlike other PE material. 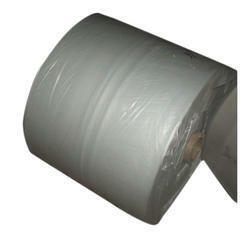 These HM Rolls are widely used for packaging purpose in many industries. Relying on our expertise in this domain, we are into offering HM Sheet Roll. We are highly acknowledged organization engaged in presenting a remarkable range of HM Roll.